Ever wonder what all the fuss is about marijuana? Here I will explain the key points that prove that marijuana should be medically and recreationally legal. You are obligated to your own opinions. Marijuana, weed, pot. It is called various names, but it is essentially the same thing. First off, let's go over what is in marijuana that makes it more and more attractive to people today. For those of you who don't know, marijuana is a type of flowering plant that can be grown almost anywhere. Marijuana contains over 500 different chemicals. Scary right? However, over 100 of those chemicals are related to the main psychoactive chemical, THC. These chemicals are known as cannabinoids. Now it's time to really get to know why marijuana should be legalized for use by everyone. People have different opinions about marijuana due to the fact that it is currently illegal in over 75% of the United States. Washington and Colorado are two states that have legalized weed for medical use and are working towards making the recreational use of it legal. The main chemical in marijuana, THC, can be used to treat various disorders and diseases. Below I will explain some of the disorders and diseases that it helps to control and even possibly cure. Cancer: As many know cancer cells are cells that constantly replicate. as of right now there is no cure for cancer. However, marijuana has been proven to slow and even stop to replication of cancer cells. There has been extensive research done with the chemicals that are in marijuana that could be proven to stop cancer from spreading to different parts of the body. Ongoing research is also being done to prove that there is a chance of marijuana killing pre-existing cancer cells. Epileptic Seizures: Epilepsy is neurological brain disorder that can cause you to have an unprovoked seizure, meaning that there was nothing that caused a person to have a seizure. In 2003 there was a study conducted that showed that marijuana has helped in controlling epileptic seizure, even in extremely severe cases. This is because THC, that main chemical in marijuana, will bind itself to the part of the brain that controls and regulates excitability and relaxation. Reversing the effects of smoking tobacco: There are many side effects of smoking tobacco. One is a loss of breath. Marijuana has been proven to help in regaining lung capacity in people who smoke tobacco on a daily basis. Marijuana helps create a larger lung capacity due to the user having to take larger breaths while smoking marijuana. Coincidently, as logic would have it, the more frequently you take deep breaths, the bigger you lung capacity gets due to you bring more air into your lungs. Your lungs then accommodate this by increasing its capacity. Glaucoma: This eye disease is caused by an increasing pressure that builds up behind your eyes and could eventually lead to blindness. Marijuana has proved to be extremely helpful in preventing glaucoma. It has been proven that the use of marijuana has decreased the amount of pressure that builds up behind your eyes. Decreased anxiety: Marijuana increases your overall mood. It has been proven that the consistent use of marijuana can help significantly with anxiety and can also relieve pain. This all goes to show that even though people may be skeptical about the use of marijuana, it does have some very good benefits. 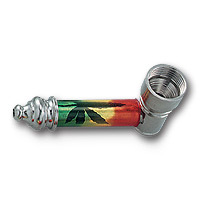 As shown above, there are various ways to consume marijuana. Cannabis oil (image 1) is the most common among medical uses. You also have a water bong (image 2), dab pens (image 3) which are exclusively for dabs (image 4), a pipe (image 5), and edibles (image 6).